Digitalization, Innovation and Energy Transition are on Top of Your Strategy Paper? Staying a key player in the industry by applying state-of-the-art Big Data applications which have already a proven track record is crucial for you. The Visual Energy Analytics experts of enersis provide software solutions to utilities, cities, and municipalities as well as industrial companies which allow transforming existing data into new information and assets. Big Data is becoming Smart Data. The intuitive, geo-visual design of the enersis software solutions transfer both your customers and your employees directly into the future energy world. You will be significantly ahead of the competition on every step of the value chain. Data Science – You own the data – and you will keep it. However, the enersis data scientists transform them into information for you and your customers. They take care of the quality of your historic and real-time data, identify necessary external data sources and create new insights, leaner processes or differentiating business models by applying state-of-the-art analytics concepts. The enersis consultants and product manager have longstanding experience in the energy industry and IT environment. You can discuss your current challenges at eye level with them and will receive specific proposals for implementation, either out of our existing product portfolio or the enersis team develops a new product together with you. All enersis applications are based on a standardized platform which we call GRIDS principle. It undergoes continuous improvement, independent from our specific solutions. The in-memory database HANA from SAP and its analytics toolbox are the technological core of GRIDS which is cloud-based and integrating several other technology partners as well. With us, you are agile from the very beginning and you will test your pilot installation after three months. We develop or customize our applications according to your requirements and by using Design Thinking concepts. You will also be part of our regular Scrum meetings. The entire enersis team is familiar with agile project management and development methodologies. Flexibility and openness are our shared and practised values. GRIDS digitalizes your energy strategies and concepts with long-term impact and makes them easily transparent for all stakeholders. 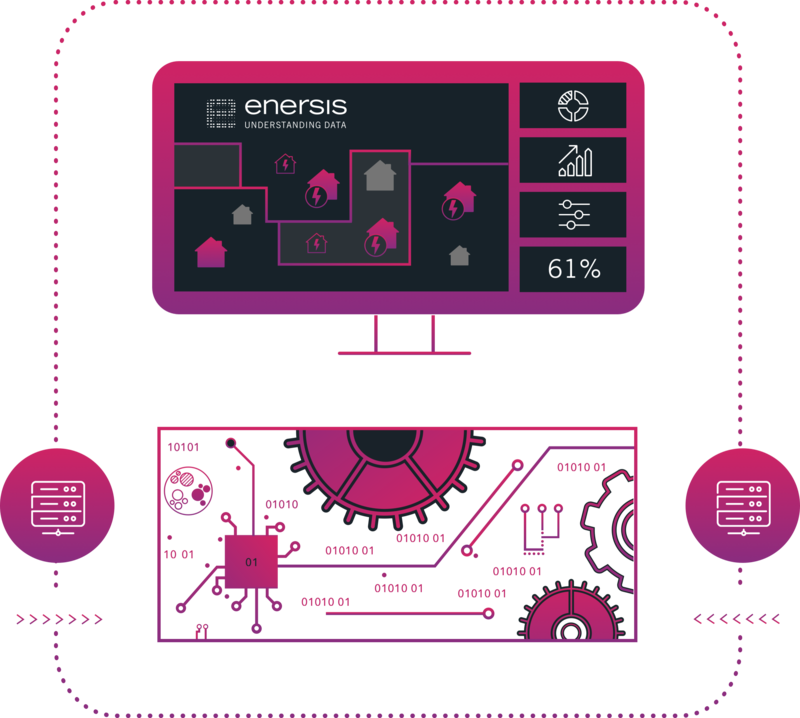 Integrating all your internal and external data into one analytics platform for all applications you will be using from enersis – this is our aspiration. Content, levels of complexity and privacy of the newly derived information are specifically tailored and visualized for each user group. The framework follows an open architecture and is thus compatible with other technology platforms you might already be using. The digital format of the newly created information allows for a high transparency on complex topics as well as an attractive and consistent graphical display. By using the enersis solutions, you will have an intuitive and holistic communication and decision-making platform. The GRIDS platform takes into account all relevant data for a decision or a service. Instantaneous processing is not a problem thanks to the in-memory database HANA. Various future scenarios and simulations can be directly handled and compared, ideally in the running meeting. The decision base is at the same time the basis to control and monitor progress. Changes in format or the inconsistent application of data can be avoided. Success stories are automatically documented and can be communicated directly through the application.